Upgrading the wheels of your mountain bike can make a big difference in your rides. Not only can you get a better feel but also and improved speed. 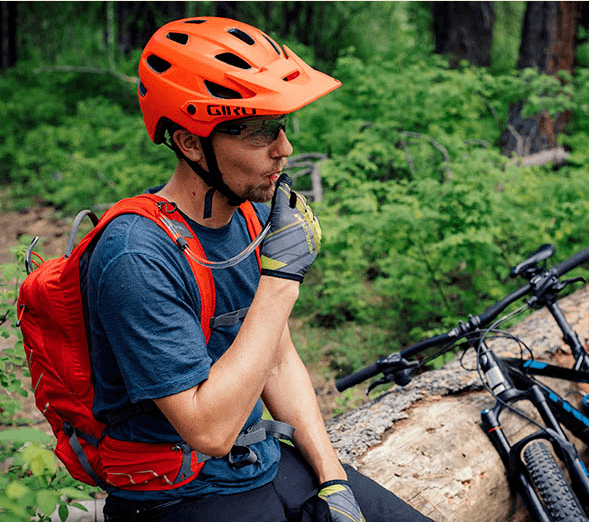 If you are looking for the best mountain bike wheels, you need to consider several factors like the durability, weight, size, hubs, brake attachment and much more. We tested several mountain bike wheels from different manufacturers. The following reviews cover the best-selling mountain bike wheels you can get for your bike today. 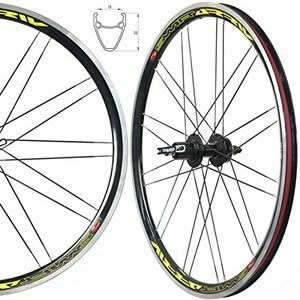 If you want to upgrade your mountain bike wheels with affordable wheels, the 26 inch Vuelta Zerolite can make an excellent selection. The 26-inch wheels are lightweight and are compatible with rim brakes. Even if you have an old bike, upgrading it with this wheels will give it a new look. They work well with many mountain bikes to offer e nice performance on the road. The wheels feature CNC- machined sidewalls that provide better stopping power. It also has 24 spokes on both front and rear to ensure that you get more strength. To provide you with a long lasting performance, the wheels are designed with a quality aluminum material that is also lightweight. They feature double wall finish color which provides a nice outward appearance. 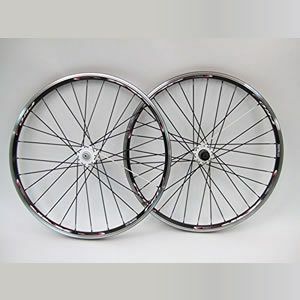 The wheels also have Shimano hubs with precision ball bearing and come with skewers and rim strips. After using your mountain bike for some time, you need to upgrade various components to improve its performance, look and feel. The first thing that you will need to upgrade in your bike is the wheels. Sometimes picking the right wheelset can be a boring activity especially if you are buying for the first time. If you need an exceptional wheelset for Shimano or Sram 8, 9 and 10 speed only, this wheelset will be a great investment. For Shimano 7 or 10, you will need a spacer. The wheelset works well with disc or V brakes. It has 24 spike holes to provide added strength. They are designed to fit tire sizes ranging from 26inchx1.5 up to 2.25. For the price, you will love how smoothly they fit and spin. The black and silver parts give them a nice look which improves the appearance of your bike. Upgrading your mountain bike wheels give you the opportunity to enjoy improved technology on the market. 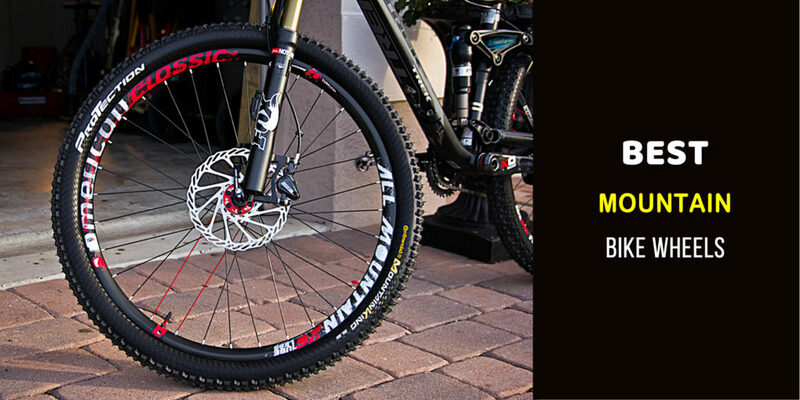 Regardless of your budget, you can get quality MTB wheels that utilize the latest technology. 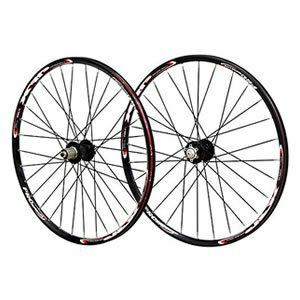 The Vuelta XRP Pro SL 26 inch 26in Mountain Bike Wheels work well with disc brakes and they are Shimano compatible. You can use the wheelset with 7,8,9 and 10 speed Shimano or Sram cassettes. However, 7 speed requires a spacer. These wheels feature a smooth sealed cartridge bearing hubs and bladed aero spokes that all contribute to a better performance on the road. Unlike other wheels you will find today, this one features a quality craftsmanship for durability. The wheelset is perfectly tensioned and meets strict specifications to meet the needs of mountain riders. They are good-looking and lighter and this makes them ideal for avid mountain bikers and high-level XC racing. If you are an adventurous rider, you can transform your riding by upgrading the wheels of your mountain bike. Of course, you want durable wheels that are easy to install. You can try the Sta-Tru STW 26 X 1.5 BO Silver Rear Mountain Bike Wheel and am sure you will notice a significant difference in your rides. The wheels are designed from premium quality materials so they will give you value for your money. They have been tested for durability so you can purchase confidently knowing that they will serve you longer. Additionally, the included 36 holes provide strength and durability. Professional riders all over the world love the performance on these wheels because they take your riding to a higher level. The wheels also have a nice silver color that will give your bike a new and expensive look. If you are into mountain biking, you know the benefits of having quality wheels. If your current mountain bike wheels slow you down or don't offer you the stability that you want, then upgrading them can be a wise decision. 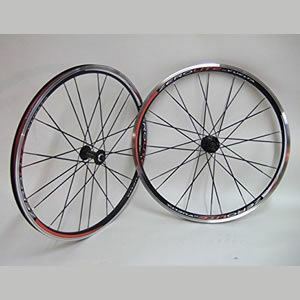 Try the Vuelta XRP Pro 26 inch 26in Mountain Bike Wheels and you will enjoy smooth and comfortable rides. 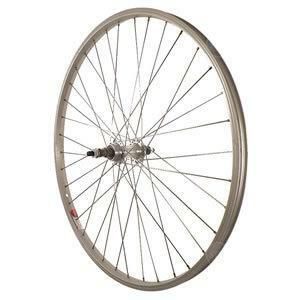 These 26-inch alloy pinned wheels are compatible with rim and disc brakes. They are ideal for 7, 8, 9 and 10-speed users. For 7 speed, a spacer is required. They feature a quality construction and an incredible warranty to secure your purchase. They are built to last longer and feature super smooth sealed ball bearings. To provide more strength and stability, the wheels are designed with machined side spokes. They also have a durable aluminum rim material that holds the tire and the tube as required. Mountain bikes are fun and easy to ride. If you have the best wheels, you can go anywhere faster. Any of these wheels will offer you an enjoyable and more controlled riding. They are suitable for any mountain bike rider who is looking for speed, smooth riding, and stability. Compare their construction, price and other aspects to get the right wheels for your mountain bike.